I’ve been on four garden tours so far this summer, and despite rain falling on every tour, the gardens looked lush and beautiful. Tours give me ideas for my own garden as well as for stories for the magazine, plus it’s fun to walk around and see how differently people create spaces in their gardens. Here are some trends I noticed while walking around in the rain this summer. Three yards full of exciting plants made for a park-like experience. Neighborly Gardens. Northern Gardener ran a feature on two neighbors in Minneapolis who garden, if not exactly together, in collaboration in the March/April 2011 issue. I saw a couple of examples of side-by-side gardens while touring this year. Certainly the most impressive example were these two hosta gardens in Rochester, which were part of the annual MSHS Garden Tour. The backyards on this street (I think there may have been three yards involved, though only two were technically on the tour) felt like a public park as the yards blended together with similar plants and a shared style. This must present some challenges, in terms of sublimating your personal desires for a shared look, but it’s also a case where one plus one equals about 10. I believe that is a hydrangea amid the boxwood — amazing! Pruning Matters. Gardens are as much about shape and texture as they are about color, so get out those loppers and prune. Clearly, many of the gardeners on the tours I attended are not afraid to trim a branch or cut an overgrown shrub back — way back. 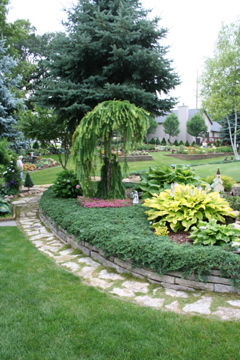 One of the best examples of the power of pruning is the fabulous garden of Ted Bair and Harvey Filister in Minneapolis, which was part of the Tangletown Art and Garden Tour a couple of weeks ago. This yard has Wow! Factor like very few others, with its stone paths and bridges, enormous koi, shape and texture galore. Ted’s the pruner, and he’s not afraid to keep plants small when it suits his design purposes. Many plants can take a firm pruning and look better for it. Prune bravely! 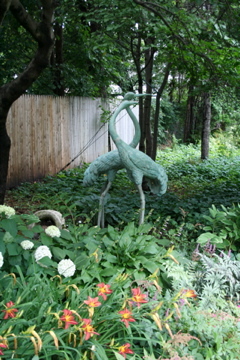 These birds were in at least three gardens I visited, but I liked the placement in this garden best. 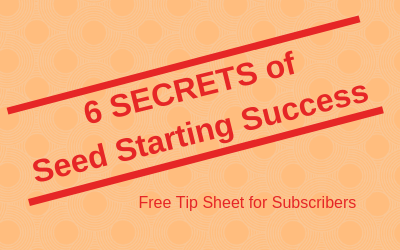 Use Art Sparingly, and Well. There is a fine line between art that is a dramatic focal point and something that is just too much. Many of the gardens on the tours rode that line closely, but didn’t cross it. I really like metal art in a garden because it’s a natural material. I also like art that is hidden for visitors to discover. My favorite example of that was a large (like almost life-size) alligator sculpture that was partially buried in the ground in one garden on the Bright Gardens for Fraser tour in St. Paul. Discovering it was both a surprise and amusing. Gardens do not need to be stuffy. 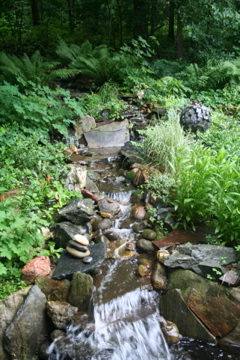 A stream runs through a hilly garden. Water Works. Almost all the gardens I visited had at least a small water feature to bring motion and sound into the garden. 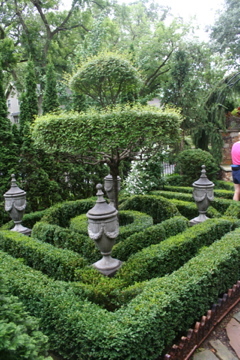 Few were as impressive as the one at Erica and Dan Tallman’s garden on the Northfield Garden Tour. The water tumbled down a steep slope in the Tallman’s backyard, complementing the natural setting around it as well as the plants. The Tallmans installed this themselves, which is even more impressive. My thanks to all the gardeners who opened their spaces to visitors, sharing their hard work and ideas.